The Turkish government’s long-awaited “democratisation package” of reform laws announced this week has met with considerable disappointment among Turkey’s minority religious communities. Prime Minister Recep Tayyip Erdogan revealed on Monday (September 30) a broad array of reform laws, drafted by his ruling Justice and Development Party for parliamentary debate and approval. Although public focus remained on legal changes in the Kurdish resolution process, electoral reform and lifting the headscarf ban in public offices, there were some positive, if symbolic, steps affecting the nation’s non-Muslim communities. But without question, the religious minorities were expecting more tangible changes to correct their status as second-class citizens: most prominently, the re-opening of the Orthodox Church’s Halki Seminary, along with recognition of the Alevis as a distinct faith community. “There are positive aspects, but also there are important steps missing,” Laki Vingas told Today’s Zaman after Erdogan’s speech. A member of the Greek Orthodox community, Vingas represents non-Muslim foundations on the council of the Directorate General of Foundations under the prime minister’s office. “The package in its entirety is positive, but there is nothing about Alevis,” Radikal columnist Yetvart Danziyan noted. The Alevi community, estimated at 20 per cent of the Turkish population, is denied official recognition as a distinct faith community from the Sunni Muslim majority. 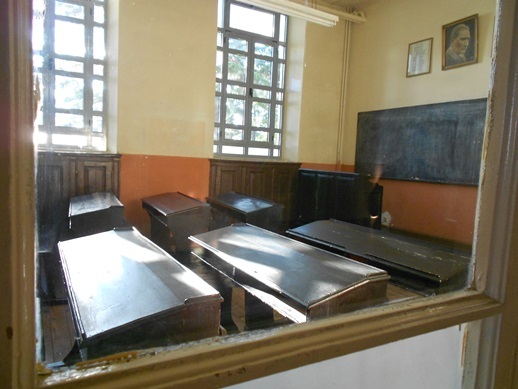 As a result, Alevi cemevis (places of worship) are refused the state upkeep and tax exemptions granted to all Sunni mosques, Alevi dedes (religious leaders) are ineligible for the state salaries paid to Sunni imams, and basic Alevi beliefs are excluded from the required religion courses in all public schools. After decades of waiting, the high hopes of Ecumenical Patriarch Bartholomew I and Turkey’s tiny Greek Orthodox community for a green light to reopen the Halki Seminary were again shattered. The Turkish state’s forced closure of Halki Seminary since 1971 has prevented Eastern Orthodoxy’s most prominent seminary from providing its clergymen with a theological education for more than 40 years. 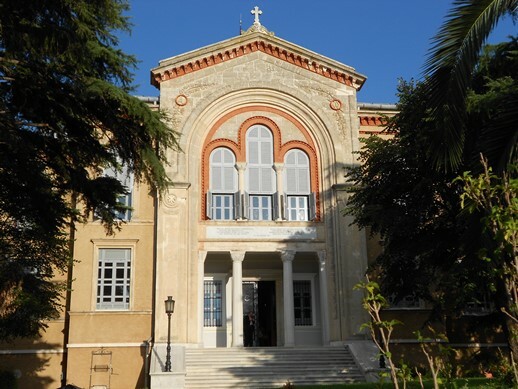 Founded in 1844 atop Heybeli Island near Istanbul, the Halki Seminary’s status has been tied for decades to the principle of ‘reciprocity’ with Greece’s handling of its ethnic Turkish minority. The government’s refusal to open it, Today’s Zaman columnist Orhan Kemal Cengiz wrote, leaves the Ecumenical Patriarchate which leads 300 million Orthodox worldwide “at the edge of total extinction”. In parallel, all of Turkey’s Armenian, Syriac, Catholic and Protestant communities are prohibited from opening seminaries or Bible schools to train their clergy. However, the nation’s small Syriac Christian community welcomed the prime minister’s announcement that state-confiscated land belonging to the Mor Gabriel monastery in southeastern Turkey would be returned to the church. But Tuma Celik, owner and chief editor of the Syriac-language Sabro newspaper, objected to Erdogan’s implication that any of the 1,700-year-old monastery’s land had ever belonged to the Turkish government. “The attitude of ‘returning’ Mor Gabriel, as if it was ever the property of the state, is wrong. Actually, this land belonged to the [Syriac] foundation,” Celik told Today’s Zaman. In a controversial Supreme Court of Appeals verdict last November, the government had wrested away legal control of 680 disputed acres of land around the monastery. After Ankara suffered heavy international criticism over the final ruling, Celik said, the decision to reverse it was drafted “with the concern of decreasing international pressure”. In terms of actual implementation, Deputy Prime Minister Bulent Arinc specified that a formal decision regarding Mor Gabriel would be issued by the Foundations Council “at the latest by the end of next week”. In one other positive step, Erdogan announced the toughening of criminal penalties for discrimination based particularly on religion or ethnicity. Up to three-year prison terms would be handed down, he said, against “those who prevent people from using their faith-related rights and performing their religious duties, and those who intervene in people’s lifestyles originating from their belief by threat or use of force”. But according to some civil society experts, such regulations could also be used to stifle freedoms, particularly in terms of hate speech targeting religious beliefs. During 2013, three Turkish citizens were found guilty and awarded prison sentences for alleged blasphemy against Islam, including world-renowned pianist Fazil Say, Turkish-Armenian author and linguist Sevan Nisanyan and lawyer Canan Arin, founder of the Mor Cati women’s organisation. Two cases remain on appeal, while a third sentence was suspended, provided the defendant is not sued for the same charges within the next three years. Last year, the state’s Supreme Board of Radio and Television fined CNNTURK and CNBC-E television channels for broadcasting alleged blasphemy, one for a guest who was accused of insulting Prophet Muhammad on a talk show, and the other for airing an episode of the American sitcom The Simpsons accused of “making fun of God”.